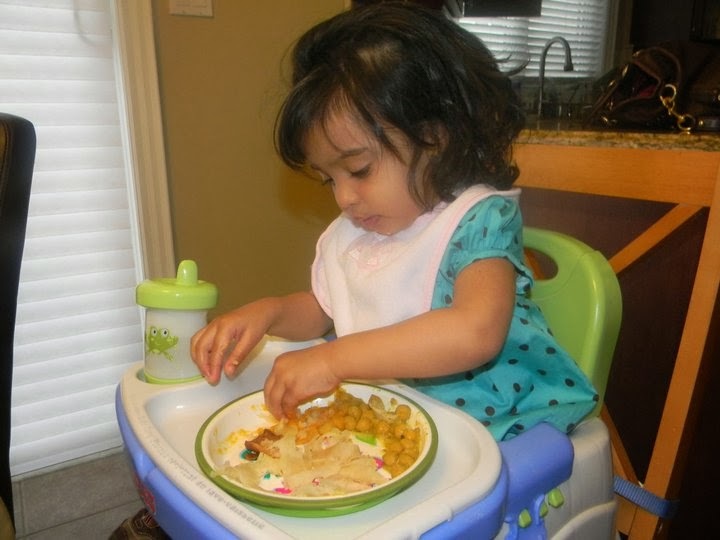 Here we are in 2013 with little Miss Anjali also enjoying her roti and channa, leftovers from Divali. 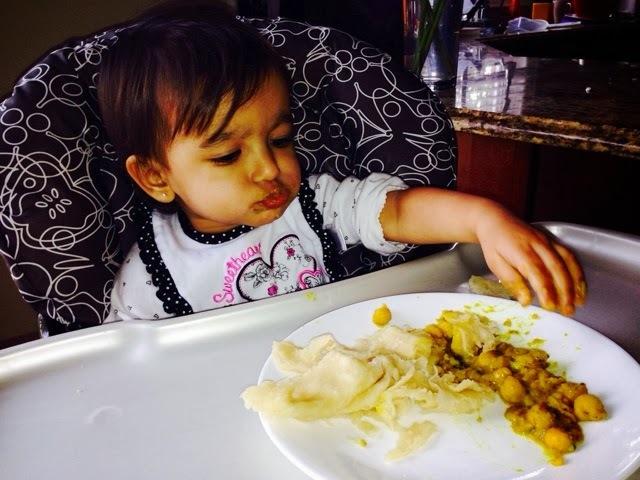 She picked out every single chick pea to eat before moving onto the roti. What can I say, can't really expect anything else from our kids, right? I'm kind of a coffee girl now.